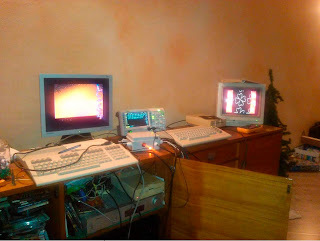 _ Can run C128+1541 II or C64+1541 II and several other hardware such REU, 1541-Ultimate 2, ... all together. 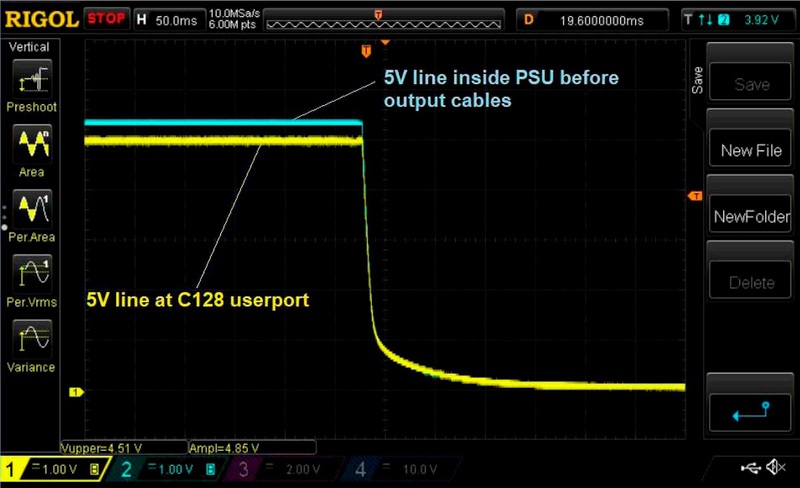 _ +5V line Amperage exceeds 3A (3A guaranteed, on the C128 version. 2A for the C64 version. 5A version also available). 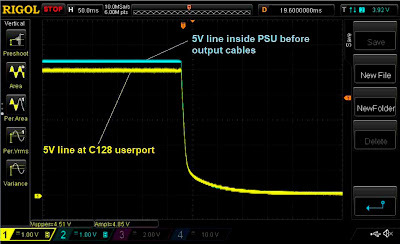 _ +12V line amperage exceeds 1A. 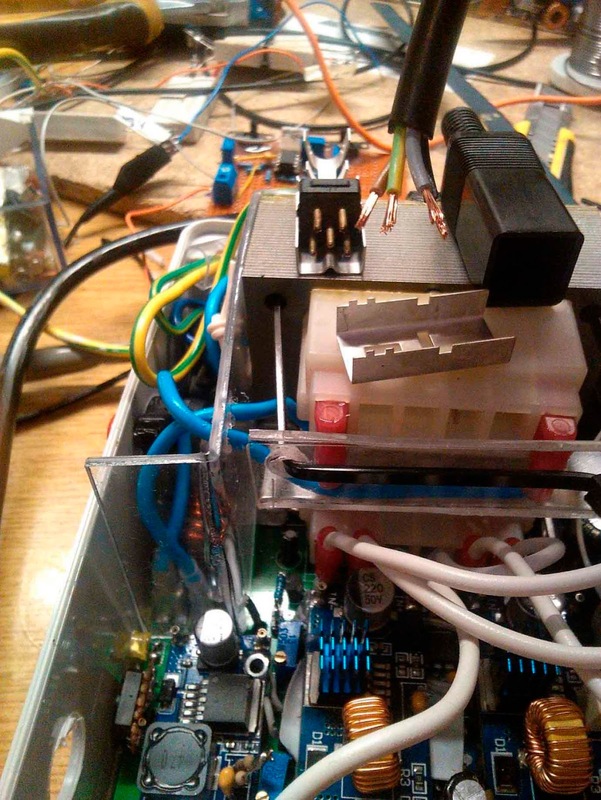 _ +5V and +12V are overvoltages, overload and short circuit protected (PSU self-resets after power OFF in case of any event of these). _ Overvoltage can be tested with a button by the user to make sure it works. 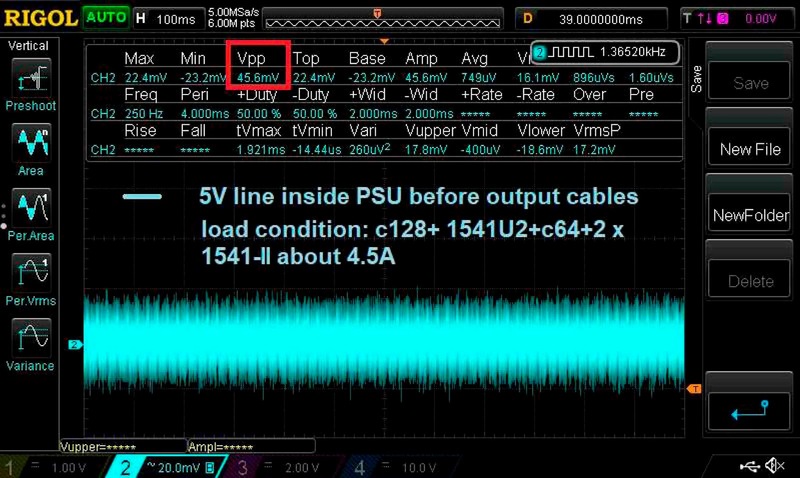 _ Voltage ripple below 50mV under all working conditions on 5V and 12V lines. 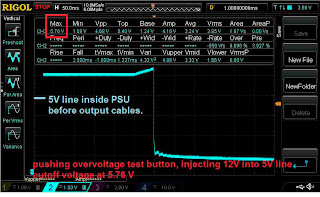 _ Soft voltage rise/fall at startup/power off without overshoot/undershoot (gentle on electronics). _ Fuse protected on the mains side with retarded fuse, which should blow only in case of big failure. _ Low pass filter and surge protection on the mains side to reject high frequencies and voltage spikes. _ Transformer with double insulation between primary and secondary circuits (grounding required on transformer laminated pack). Setup; C128 + 1541 Ultimate 2 + 1541-2 + C64 + 1541-2. After about 1 hour running transformer core temperature has risen from 20 C to 50 C. Current output at 5V is about 4,5A. 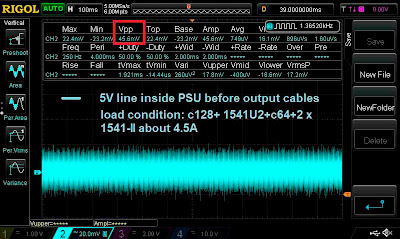 Very good voltage ripple at loaded condition: only 45.6 mV on 5V line. 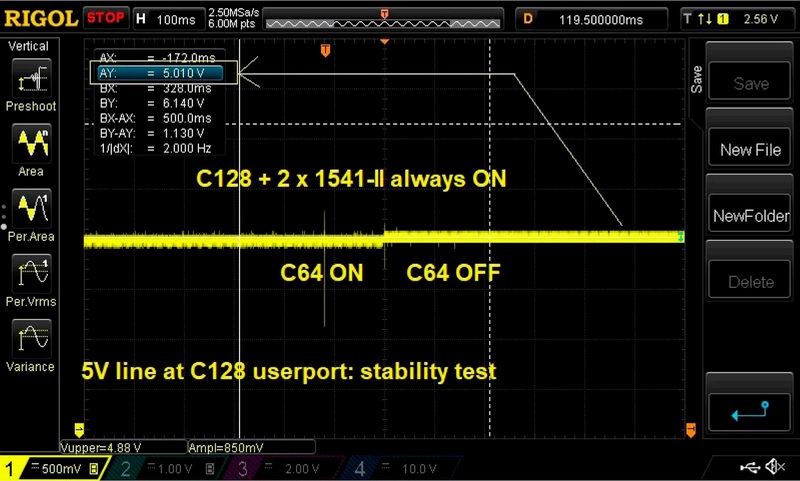 Voltage is stable during a load loss, in this case, C64 was switched off. Power ON, with all devices having their power switches already ON, in other words powering up from PSU main switch. 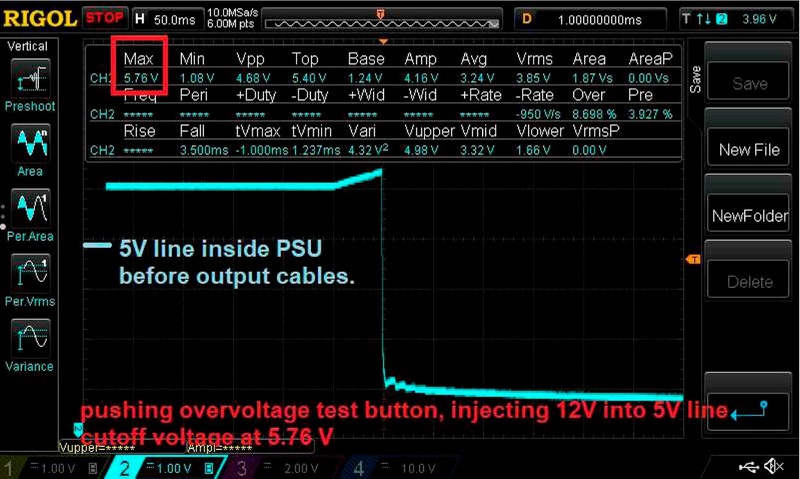 Voltage smoothly rises with no overshoot. 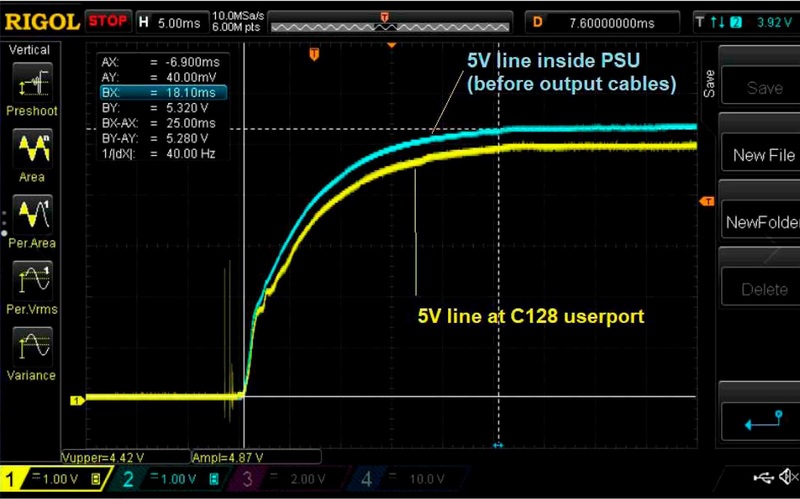 Cutting power from PSU main switch, again nice shutdown curve without any spike. This PSU has a unique feature that no other PSU I have seen has; overvoltage test button. How can you be sure the overvoltage protection (OVP) is always healthy if you never test it? 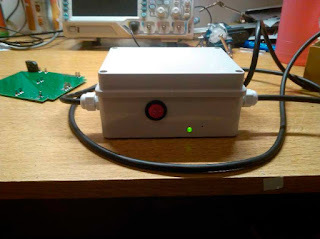 I included a button that injects 12V into 5V through a 120-ohm resistor. If the PSU shuts down the OVP works. 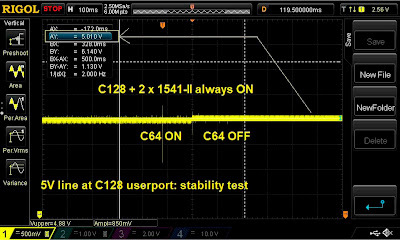 The test must be performed with no load connected otherwise it won't work (the current through 120ohm will not be enough to raise the voltage when loaded). The threshold is 5.6V with 10ms delay, which means cut off happens around 5,7V. Also you can notice 3 DC-DC converters. The leftmost one is for a 12V generation. The other 2 on the righ are in parallel for 5V generation. 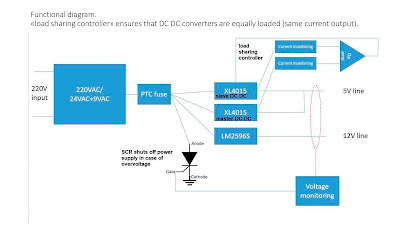 Their parallel operation is managed with two current monitoring devices which take care of the load sharing, so that the load is equally balanced between the 2 DC-DC converters. For more info you can contact to Daniele aka Ready/Level 64 on danieleredivo78@gmail.com.